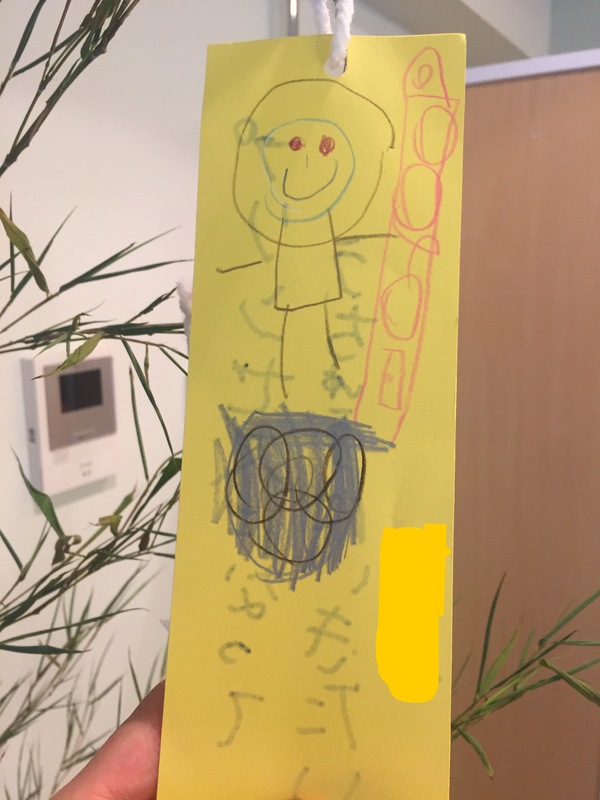 Today, 7th July is the day to celebrate Tanabata festival, where traditionally we put up our wish on a piece of rectangle paper and hang it on bamboo branches along with other colourful decorations made with Origami papers. It is the festival to celebrate a once-a-year rendezvous of this married couple, Princess Orihime & Prince Hikoboshi, who were derived from the stars (Vega and Altair) and separated by the Milky Way. 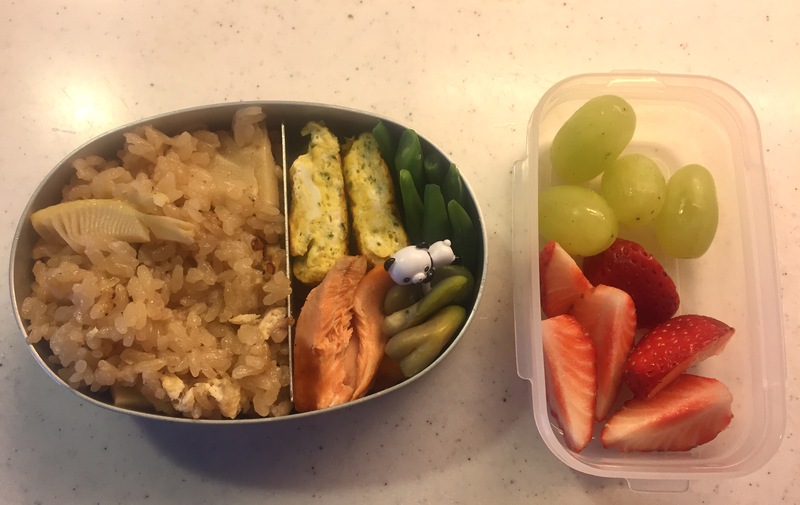 At our daughter’s school, they celebrated it by singing a Tanabata song and eating watermelon, one of the seasonal fruits in summer and very typical for summer festival, after their bento lunch. 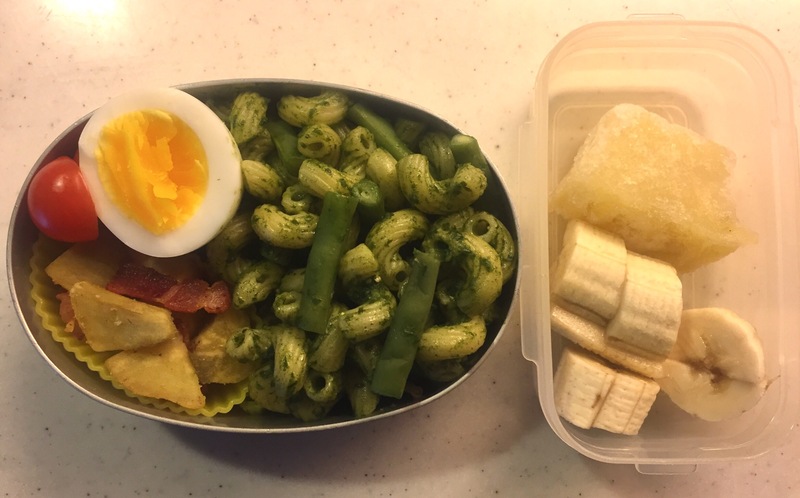 I totally forgot about it and packed grapes & banana for dessert… Oh well, lucky her to have extra dessert today! 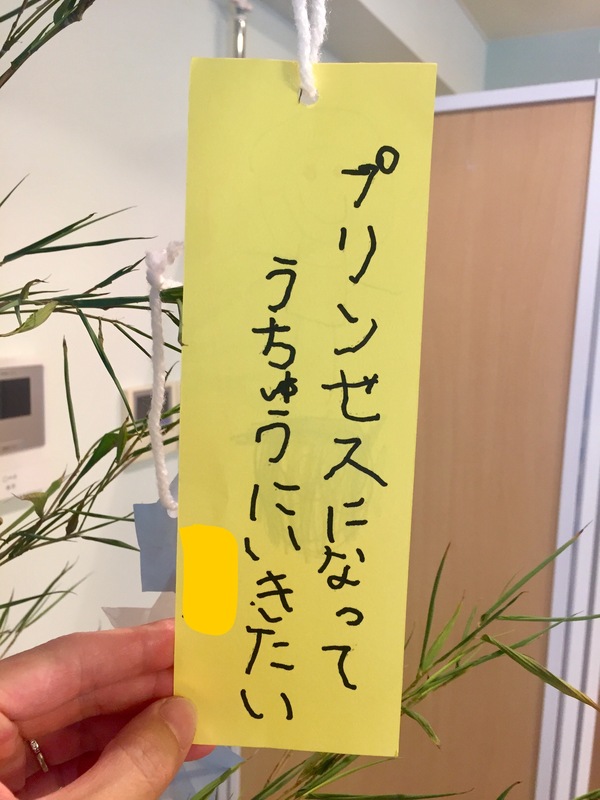 Click here for more details about Tanabata, from Wikipedia. 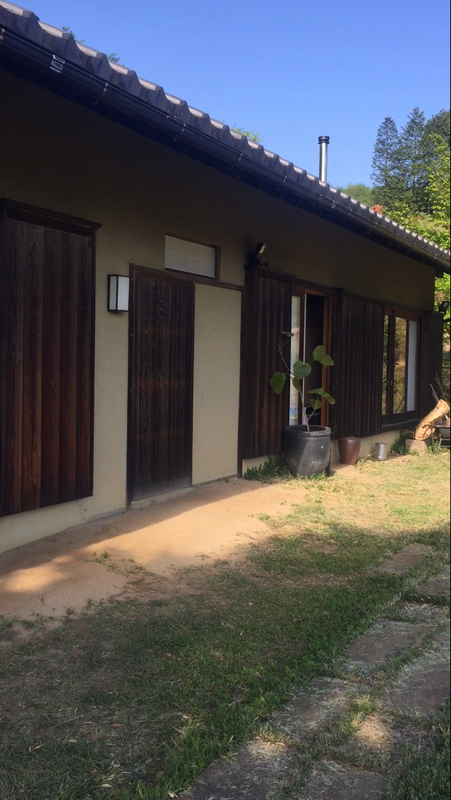 During the so-called Golden Week holidays at the beginning of May (one week of consecutive public holidays), we took a short trip to up in the mountains in Gunma prefecture where my aunt and uncle live. 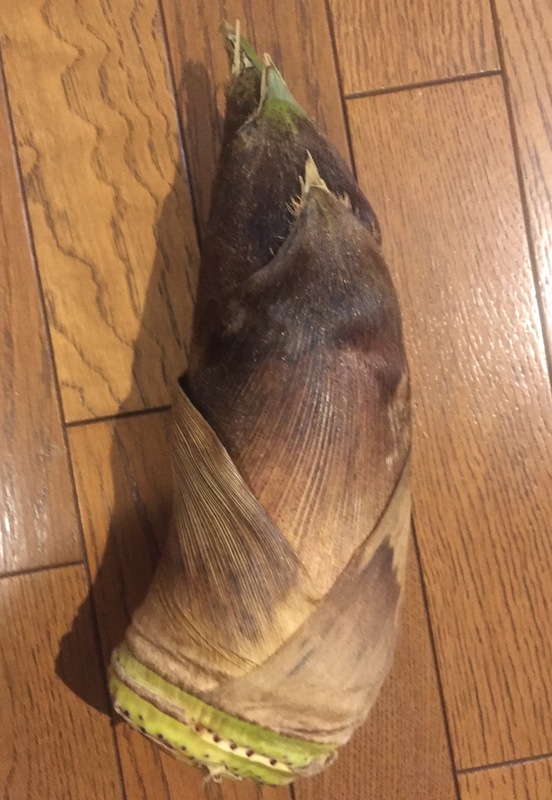 Every spring we enjoy visiting them at their beautiful traditional wooden house, built entirely by my carpenter uncle, and going for Takenoko (bamboo shoot) digging in the mountain at the back of their house. 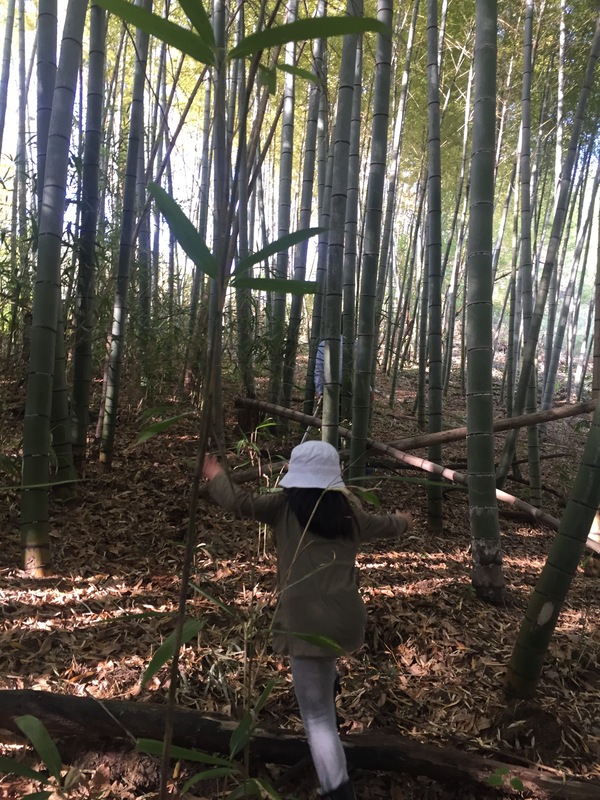 This was only the second year to do Takenoko digging for our daughter, but she was very comfortable and enthusiastic going through the woods to find the small signs of bamboo shoot emerging from the ground. The hardship of Takenoko digging is worth every sweat. The eating bit afterwards is a great pleasure. 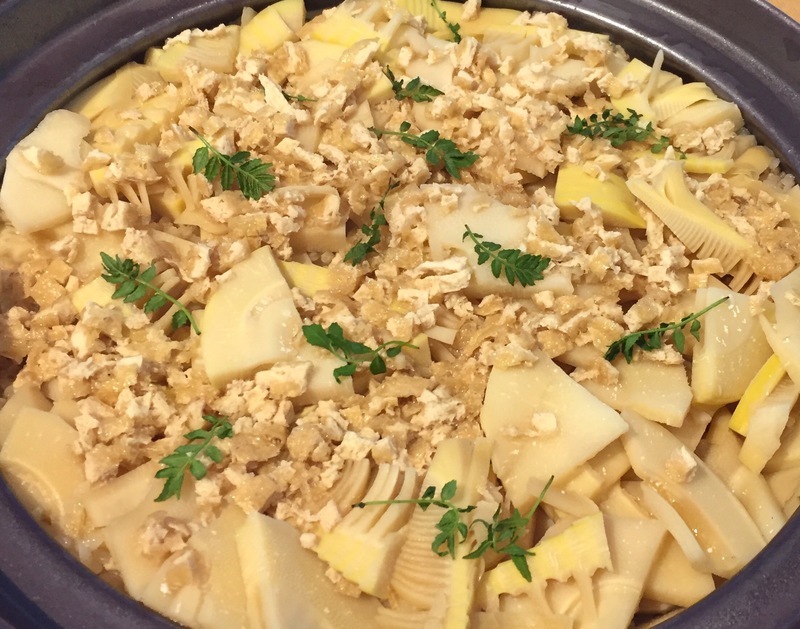 This year, I cooked Takenoko rice in an earthen pot for a Sunday brunch with our good friends after coming back from Gunma, coupled with the white asparagus dish inspired by my Dutch husband’s roots. 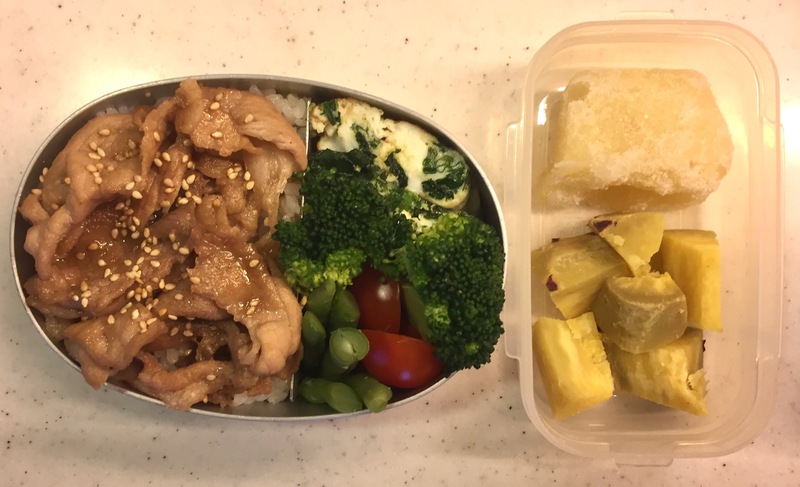 For those who are interested in the recipe of the Taeknoko rice, click here for the one I used. 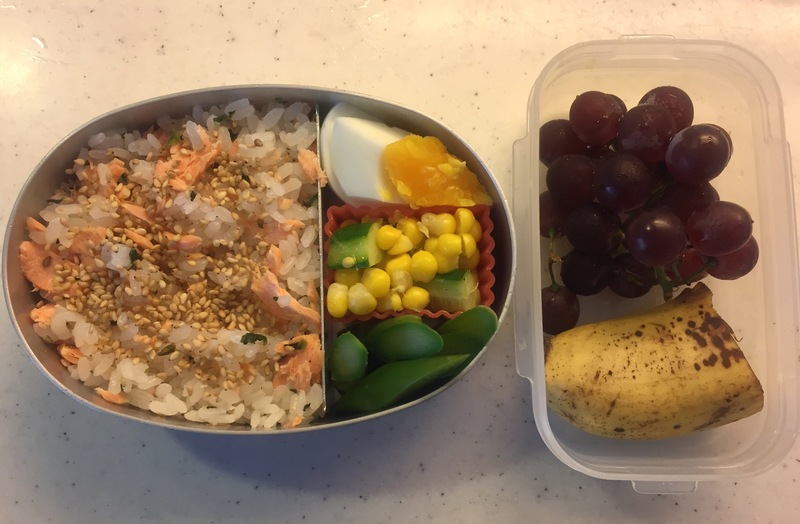 The leftover Takenoko rice was packed for my daughter’s bento the next day. 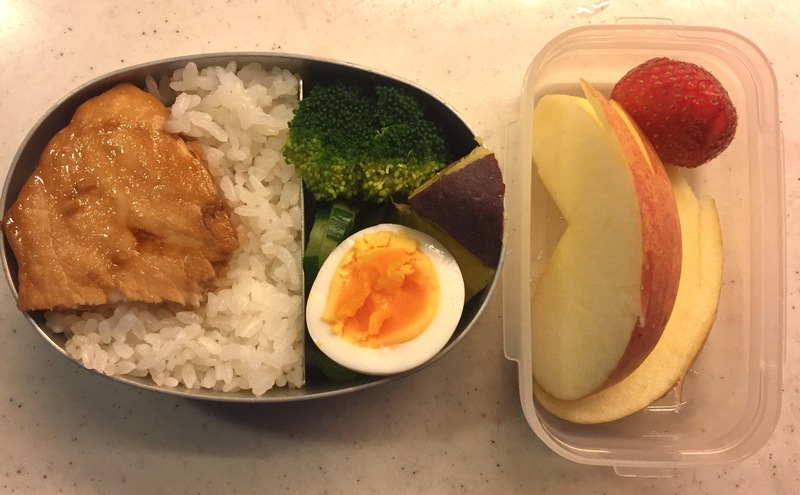 Last year she could not eat Takenoko, but this year the bento box came back empty! My daughter’s school has been closed for spring break for the past two and a half weeks, and it will finally start again tomorrow. 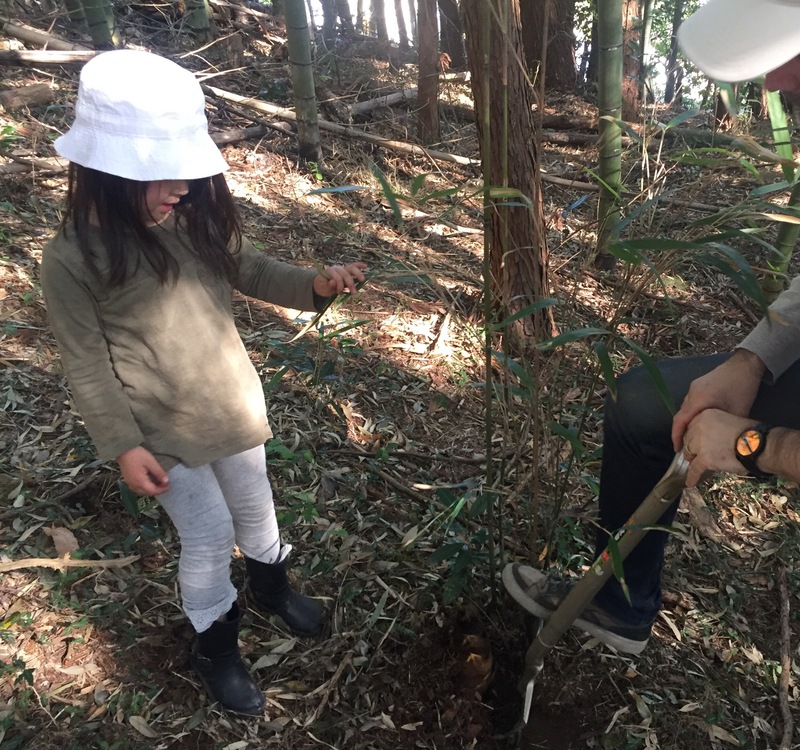 In Japan the new school year starts in April, so it’s kind of a big deal for children as well as their parents/caretakers in order to bring our mindset back to the new school routines. To finish up the last day of the spring break in style, we threw a small lunch party at home, inviting a few of our daughter’s best friends and their parents from the kindergarten. Since we wanted to put some special touch to it, we went for a Dutch theme (my husband is from the Netherlands). 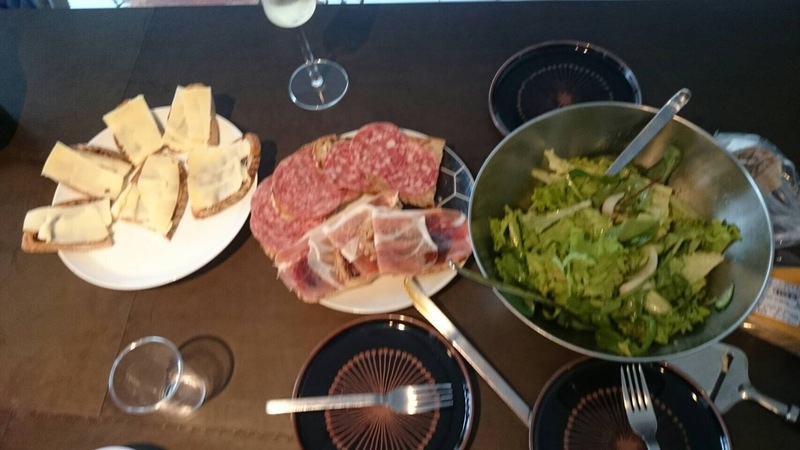 We started off with the appetizer of Dutch sandwich. I said to him it might be better to cut them into small pieces, but he said this was the Dutch way. Yes, very bold. 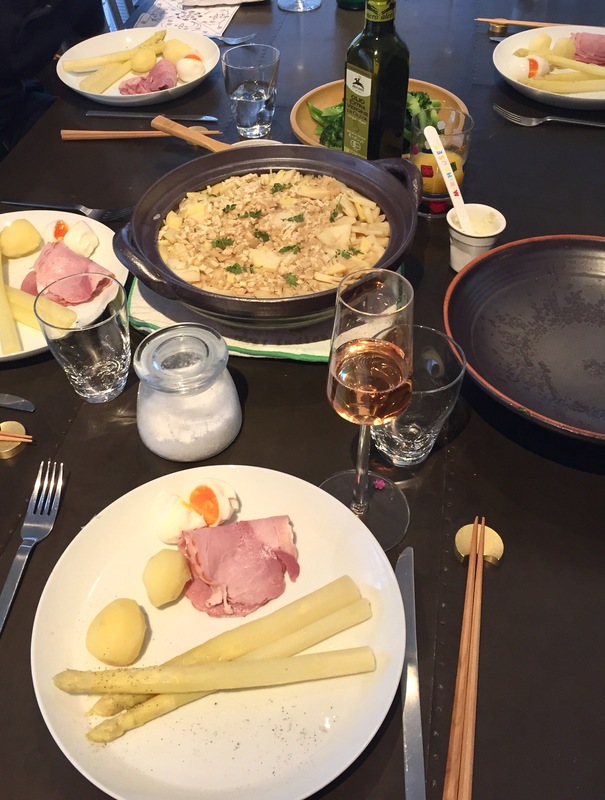 My husband is from the region called Limburg in the south, bordering Germany and Belgium, where the culinary culture is more elaborate compared to the north. 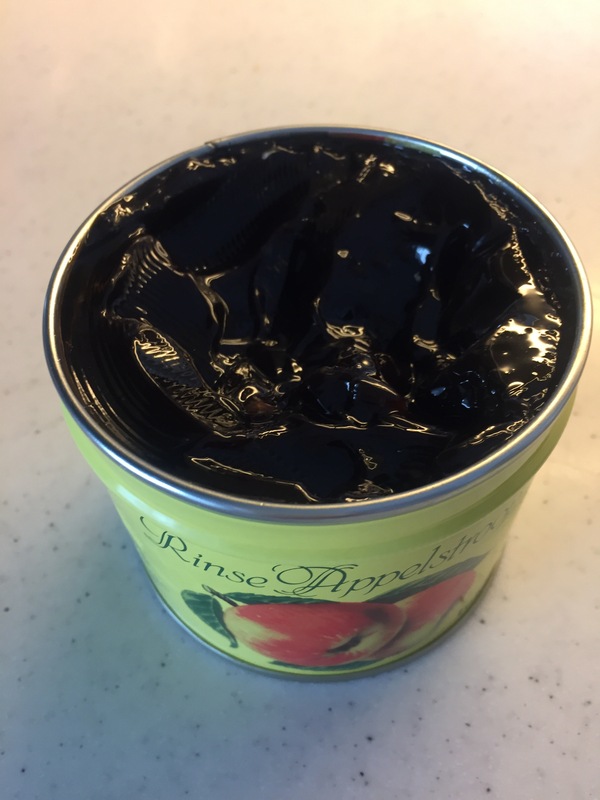 In Limburg, they use this incredibly divine yet underestimated paste-like syrup made from apples called Appelstroop. They spread it on a thin slice of bread (with butter underneath it usually), and place either sliced Gouda cheese or sliced ham on top. 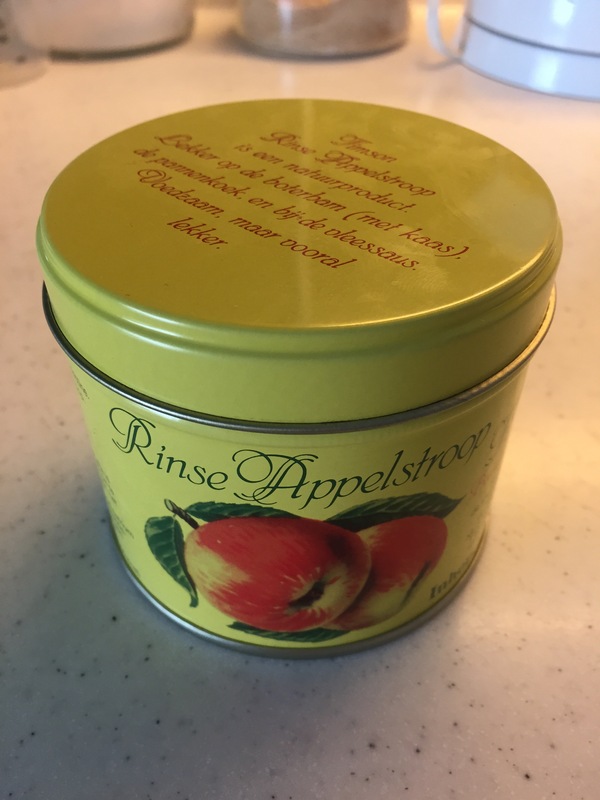 This is the Appelstroop we use from the brand called Timson Rinse. 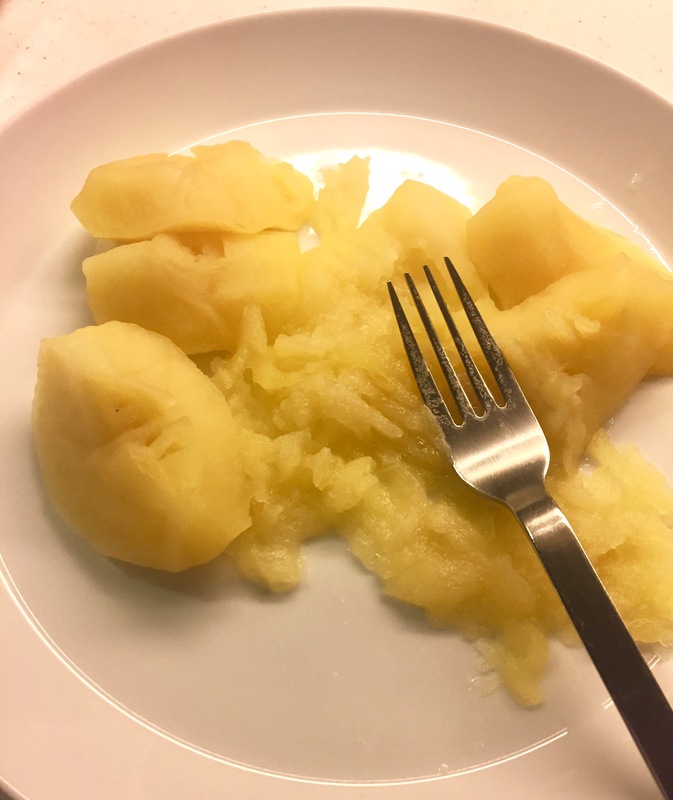 The texture of Appelstroop is like world-famous Veggie Mite or Marmite, but its taste is sweet and rich, a bit like thick honey but with more fruity aftertaste. It’s high in iron (and sugar), and is a great match when paired with something salty. According to my husband, they put a bit of Appelstroop in the rabbit stew they eat for Christmas in the Limburg region. They also use it as the spread for the pancakes just like Nutella or fruits jam. We love Appelstroop so much we personally import it from the Netherlands. If you are interested, here is the link to the shopping site called Holland For You that we use regularly. After the simple but fulfilling appetizer, the main course is what we call “Sweet Sour Chicken,” inspired by Indonesian cuisine. Just in case you are wondering, Indonesia is a former Dutch colony, and there are many Indonesian ingredients and recipes still available all across the Netherlands. According to the recipe passed down from my mother-in-law, she uses this ready-made Pineapple Curry sauce for her Sweet Sour Chicken. Due to the difficulty to obtain it in Japan, in lieu of the sauce I use fresh pineapple, curry powder and yogurt, all mixed in the blender like smoothie. This time I forgot to put yogurt, but it tasted all right. She also uses so-called “ketjap” sauce which apparently is the Indonesian spicy soy sauce. Instead, it was replaced with Japanese soy sauce blended with some balsamico vinegar. 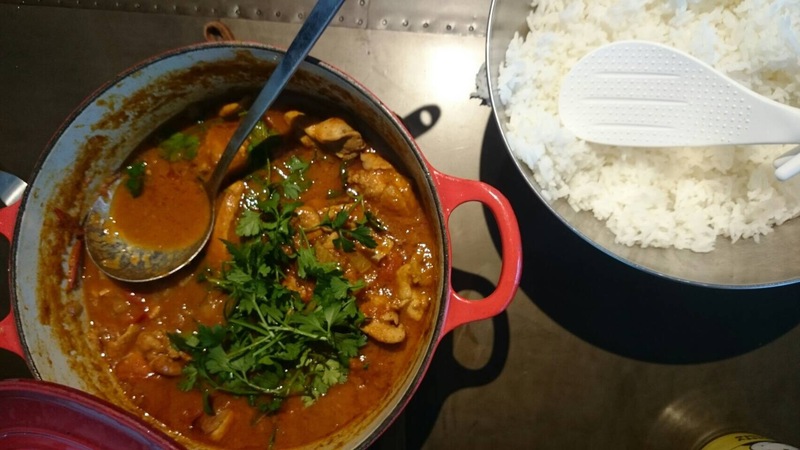 The dish tastes a bit like mild chicken curry with some tomato sauce as its base, and the excellent mixuture of sweetness from pineapple and sourness from vinegar at the same time. If anyone is intrigued, have a look at the recipe here. Sweet Sour Chicken goes very well with Jasmin rice or Brown rice. After the nice long lunch with a few bottles of wine for grownups and Mugi-cha (barley tea) for kids, I think we are fully ready for a fresh kick-start of the new school year tomorrow. 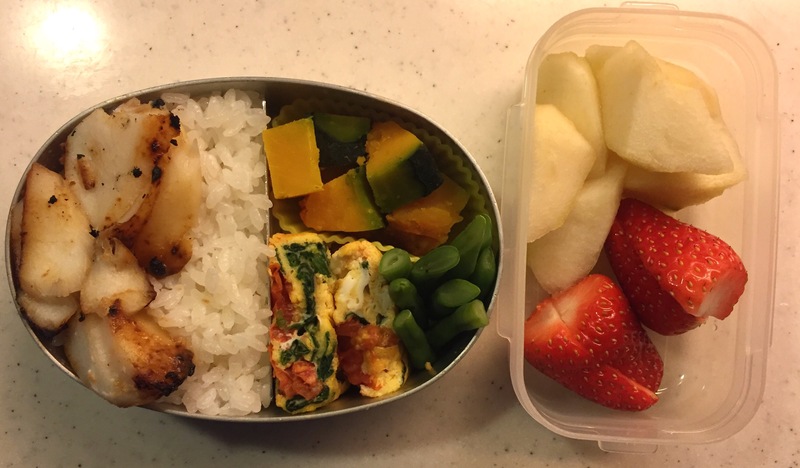 Did you know that in Japan what we eat on the first day of the year is bento? 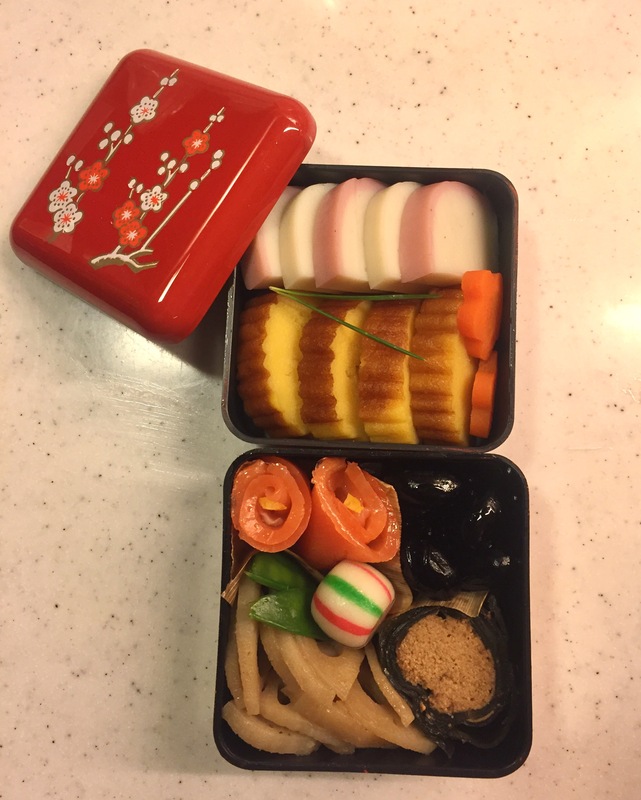 This has a special name, “Osechi.” Actually I didn’t have any idea why it’s called that way, so I did a quick research. 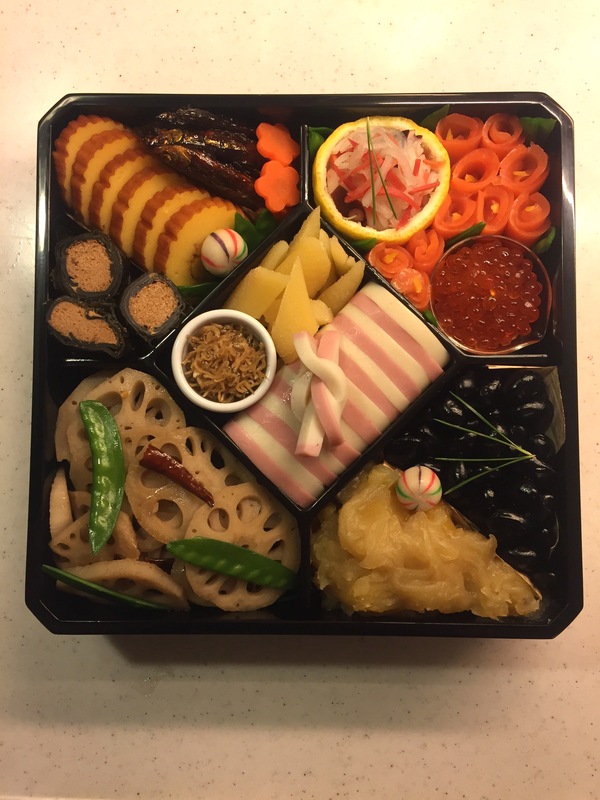 Apparently Osechi is a simplified expression for “Osechiku（御節供）/ Osekku（お節句）,” which is the term to describe special food prepared to appreciate the harvest. New Year’s Day, usually referred as “Oshogatsu（お正月）,” is one of the most important days of the year for Japanese people and is celebrated among family members and close relatives. It is a formal event involving proper table setting, rather than a casual fun party that is common in the Western society. I always explain to my Western friends that Oshogatsu in Japan is like Christmas in Europe and Thanksgiving in North America. We (are forced to) stay at home (if you are young and live on your own, you usually go back to your parents’ place to celebrate), have the celebration within the family (quite unusual to visit your friends on the New Year’s Day), and repeatedly eat & rest. 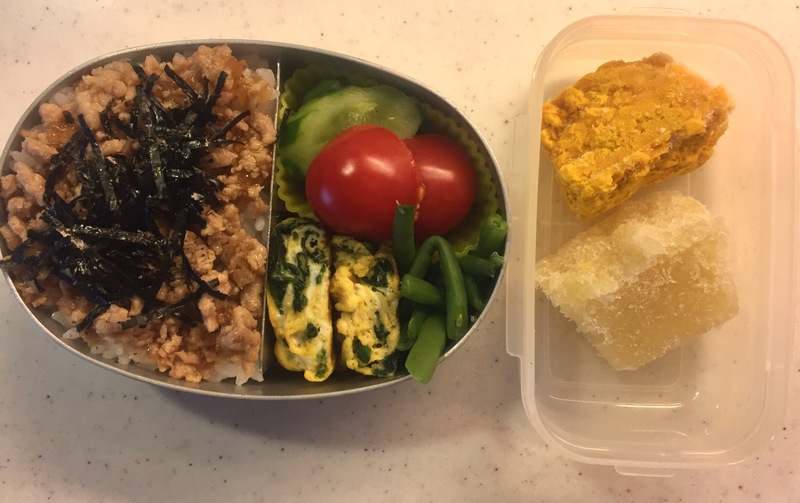 We (usually women – no offense, it’s tradition…) prepare Osechi dishes a few days in advance so that we don’t have to work so much on the New Year’s Day itself. Osechi dishes mostly consist of preserved food and hence can last for a week or so. This year, my parents joined my Dutch husband, our daughter and myself for the New Year’s celebration at our small Tokyo apartment, and our small family invited our very close friends, a lovely Portuguese family who live in our neighborhood in Tokyo, so that they could have a glimpse of our unique tradition. Eating Osechi all together and having a laugh with our cross cultural conversations, we were able to recreate this special, ceremonious feeling of Japanese New Year that we used to have with my grandparents back in good old days. It has become one of the most memorable Oshogatsu for me this year, sharing it with people I love with my first ever hand-packed Osechi.